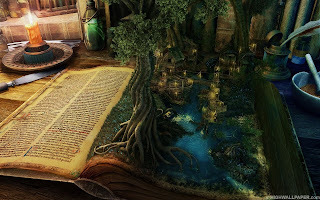 I've always been a big fan of the fantasy genre--it's what you'll find me drowning myself in while looking through books, movies, my favorite video games, and most of all, in my writing. But what truly gives fantasy a momentum? Where does it all begin? He's cute, he's mean, and he's purple! 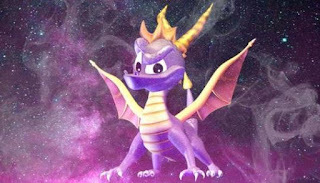 My journey as a fantasy writer began at the humble age of six when I first got my hands on a PlayStation and got a chance to play the game series "Spyro the Dragon," (very much credited as my first game) where the worlds were vast and the characters were just the same. I was taken by the atmosphere that this platformer had to offer, and every moment, every exploration, was an adventure just waiting to be unraveled. By the time that my days of Spyro were completed, I had moved on to broader aspects and picked up Grimm fairy tales. See, I'd always loved Disney's tales, but to see the other side of the spectrum at age ten, now that was an unexpected hike up the mountain. But it gave me perspective on darker themes, ones that I was willing to explore. Phase three came in just one year later with not one, but two entries: "Spirited Away" by Studio Ghibli and "Kingdom Hearts" by Squaresoft (later Square Enix.) Spirited Away was a movie that took my breath away with its glorious world-building and atmospheric story, whereas Kingdom Hearts gave me amazing characters, a sense of nostalgia drawing into Disney, and a newfound love for Final Fantasy that would later come to consume my love of the RPG genre. Blending these elements together helped me to get a start as a writer. There was much for me to uncover when deciding that I wanted to write novels for a living. The first, having a purpose, which was always clear from the start: to inspire others to create something truly magical with their own hands. That purpose gave me my genre immediately--fantasy. Everyone loves to step into a world unlike their own. A sweet escape from the reality that binds us to an order we may not agree with. We are able to conjure our own worlds to live in, and some of us are fortunate enough to make them a reality. 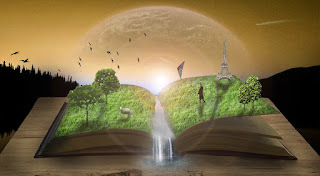 The day that I opened myself up to the world as a fantasy writer, I knew that my purpose would only grow as I took the necessary steps, and watched my worlds blossom beyond even my comprehension. It was truly mystifying to see others becoming engrossed in the ideas of shaping one world from another, and traversing through time, space, wonder, reason, and so much more to form them. I love creating. I love being a Creator, an Arcana, a Gravekeeper, and many more titles that will one day make claims on my heart as I advance and craft more entries in my personal adventure log. With all that knowledge in mind, I never got to the root of this blog. 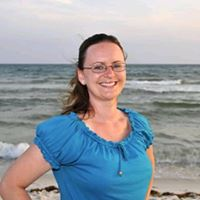 Why do I write fantasy? I write fantasy because it allows an escape to another world, where dragons roam the skies, pixies flutter through the trees, barely in our sights, and the mystics become truth. We all deserve to believe in something and make it real. I write fantasy to show others that your dreams deserve to be real, whether you make it yourself or show it. Let your world prosper. Seek out hidden treasures. Find your person. Hunt down your prey. Solve your mysteries to life. Discover change in yourself. Approximately one year, four months, and two weeks to the day, I finished a little novel that I started during my first National Novel Writing Month called "The Final Lesson." I already had the plans to publish it as a standalone despite mixed statements on people wanting me to make it two separate books due to its length or let it run its course and be as big as the world itself could shape it as. In the end, it merged as one, and since I'm on a backlog between my Final Fantasy XV complete review (which will be released after I purchase the rather unexpected Royal Edition DLC and judge it all then) as well as working through a nice number of secret projects... I decided to tell the story of the longest novel I've crafted to date. I always love my truth serums. Maybe you'll like this one too. 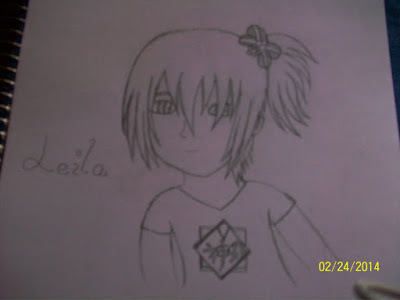 The very first confirmed design of main character Leilana Erovina, originally named Leila. She was created to be a Final Fantasy OC, daughter to Zack Fair. Whom, I adore, as many know. The year was 2016, and it was early October, just weeks away from the legendary crunch month for everyone looking to create their own new project, or continue current ones. 50,000 words in a month, always a challenge for me, but some do double that in that slot of time. But it was going to be my first, and I was more than happy to participate and see what the buzz was about. I already had some ideas in mind, but they clicked into place one night while working my shift at Wal-Mart (I guess it was sheer luck, because I tend to become so stressed when I'm at this place that I lose most of my ideas). I could write a story about a young witch that's on a pilgrimage. Bit by bit, the story lined up my fantasy. A prince and his servant. Friendships growing. War. Wonder. Mystic. Wisdom. Chaos, cataclysm. All things that I loved in my favorite escape. Current Leilana, aged 14, a far cry from the cute child above. My biggest inspiration for this story came from not only my love of video games, fantasy, and all things magical, but a very distinctive aspect of my early childhood. When I was about six years old, I had a massive phase where every time that I went to my local video store with my mom, who knew the owner pretty well, I wanted to pick up the Studio Ghibli movie "Kiki's Delivery Service." At the time, I didn't know anything about anime spare watching Pokemon and Digimon extensively. But "Kiki's Delivery Service" was different--Kiki was an early inspiration for me due to her positive nature and willingness to change. What set her apart from the Pokemon trainers and the Digidestined... all of her skills came from a lineage, and she was born to become a powerful witch. I wanted to be a witch too, more than anything. I thought of flying through the night sky on a broomstick when I turned thirteen, and getting to explore other cities and become a better person by meeting new people. Part of that got to come true, at least. I never got the dream of becoming a witch... but I did get to meet new people and grow from it. And if I couldn't ride on a broomstick to other places, why not have someone else do it in my place? 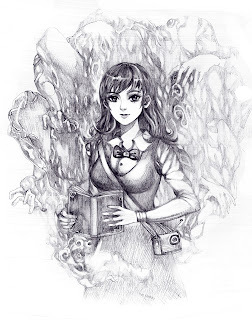 That led to the birth of Leilana Erovina, a young girl blessed with magic from an heirloom of her late brother, a gift from her fallen clan: a grimoire called the Lasette. She is given the opportunity to become a Warlord, a powerful mage that can become a quintessential guardian within the realm of Adrylis. 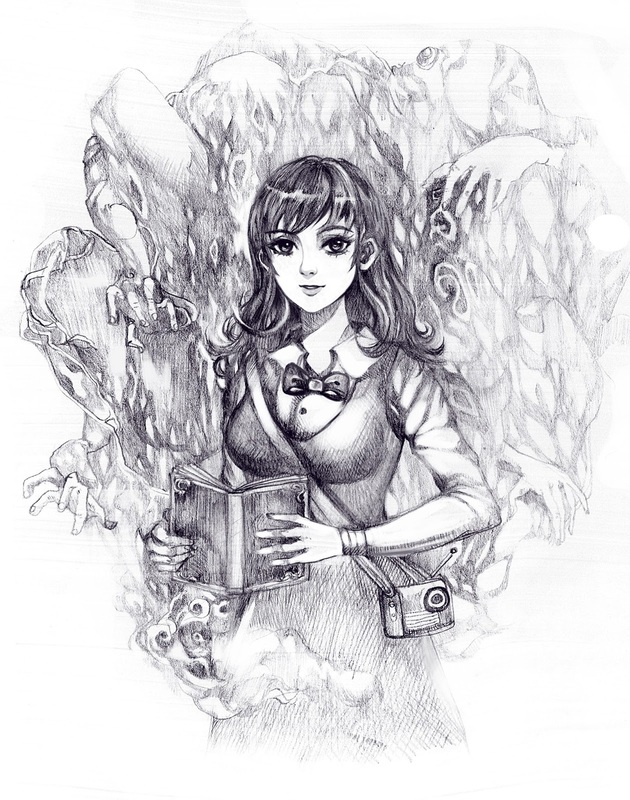 Her thirst for knowledge was her driving force for her character's development, as she is always willing to learn more about new places, new people, and to see what lies ahead of her. That is only amplified when she meets the Prince of a recently-fallen kingdom, Remiel Vesarus, and his servant/guardian/best friend, Solus Brenner. Kiki and Leilana couldn't be more different in personality. But I hope that Leilana one day holds as much inspiration for someone as Kiki did for me. Thank you, Hayao Miyazaki, for giving her to me. One thing that sets "The Final Lesson" apart from other stories I've written is the creation of my first true relationship formed over time. 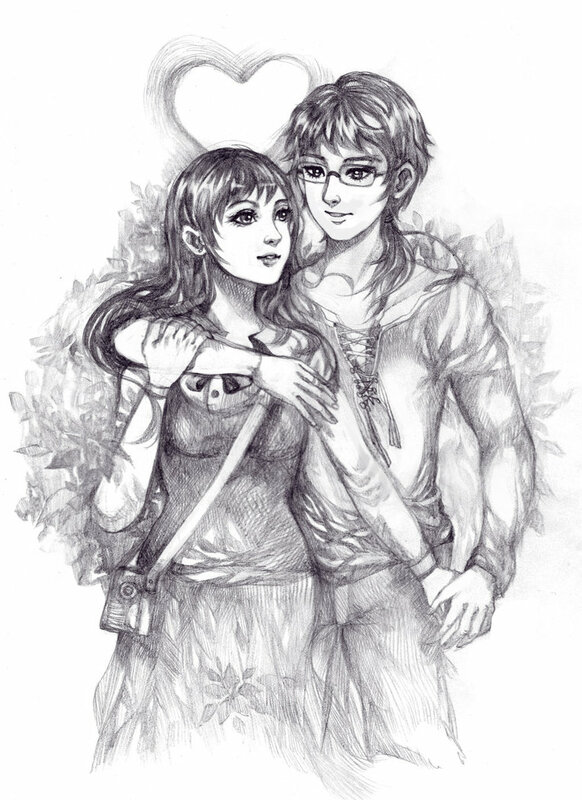 An intentional romance that still buds like a rose and allows the petals to wilt and fall as the story progresses. 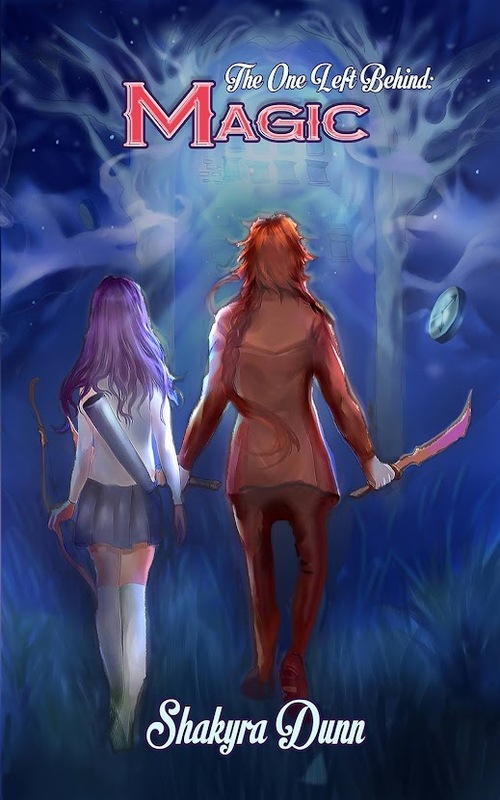 Before Leilana and Solus's romantic relationship truly blossomed in my mind, and still stands as my favorite that I've written, I avoided romance in my fantasies like the plague. I was very skilled at writing other developments in friendships, crushes, and even brotherhoods. But this was my first true pairing that I wrote and established from the very beginning and came to adore the more that they interacted. They deserved a chance. Still, much like my other works, they aren't the only relationship to blossom. 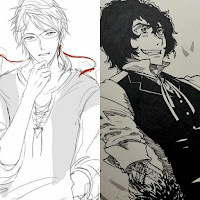 Solus and Remiel had a close friendship from the beginning of the story, acting as best friends, brothers, and also have an odd closeness as Servant and Lord due to Remiel's royal lineage. Their friendship has a lot of testaments that grow throughout the story, willing to test them in leaps and bounds due to leaving home and being away from watchful eyes. There's also the friendship between Sien Kaiser and Leilana, the first female bond that either of them shared, and one that develops by mere chance in Sien's tavern. More complexingly, there's also a bond between Leilana and a former classmate, Amiria Farone, and their friendship with Lancett Lune. Building characters has always been my passion. And I'm hoping that they continue to blossom in the wildflower garden that is "The Final Lesson." 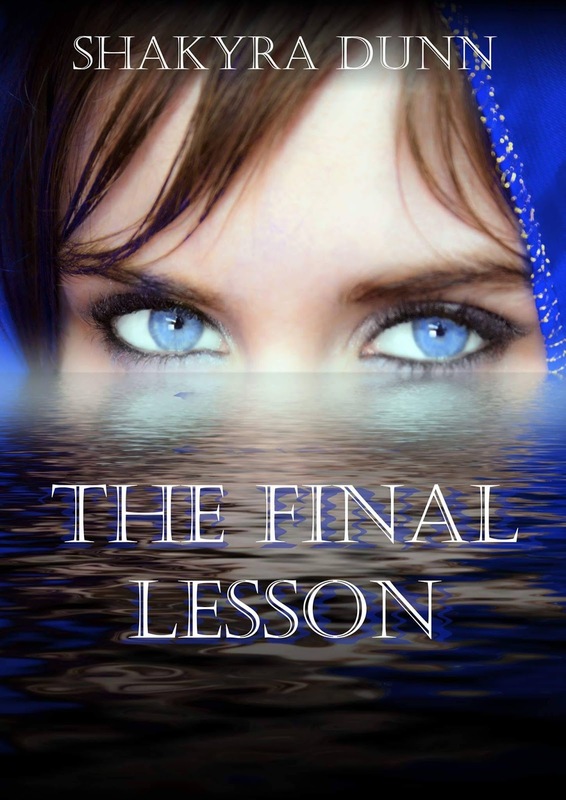 Last year, I wrote a novella prequel to "The Final Lesson." It wasn't well-received in terms of reviews due to its poor pacing (Which, I admit, was really rushed), but it did manage to snag second place in the Virtual Fantasy Con awards for best fantasy novella. I plan to rewrite that novella from scratch. And this time, it'll shed some light on another character that didn't have much time to shine before his already written demise, Ennis Erovina, the older brother of Leilana Erovina and prominent Warlord. He deserves more of a story. The next thing on my list? Finishing more projects. Trying not to destroy myself in the process. Hopefully finishing my second NaNoWriMo project! And then... I relax in my chair and sip some tea like the writer that I am! With the end of year gaming events and the awards rolling in, everyone is fighting over their own personal "game of the year,” all in separate genres. We have formidable games such as Legend of Zelda: Breath of the Wild and Super Mario Odyssey from the likes of Nintendo, Uncharted: Lost Origins and Horizon Zero Dawn on PlayStation, Assassin’s Creed Origins, Destiny 2, and even some old classics making a return such as Crash Bandicoot: N.Sane Trilogy! But some people, like me, tend to get a bit genre-specific about their love of games. I’m personally a huge fan of the RPG genre from both a gamer and a writer’s perspective. There’s a lot of time to sit back and immerse yourself in a story-driven game, to grow with the characters that you control. I started off my gaming career at age six (wow, can you believe that was seventeen years ago) with Spyro the Dragon on PS1, and it’s only been up from there! A lot of amazing JRPG’s have stormed into the field this year, both old and new, so how about we embrace Japan’s glorious work with five JRPG’s on PS4 that you need to play? For this list, I decided to stick to games that were released between late last year (October up) and right now, so maybe you’ll find one that you’re interested in! A player for a popular game called ‘The World’ named Haseo hunts a player nicknamed Tri-Edge, who defeated his friend Shino and left her in a coma in real life. 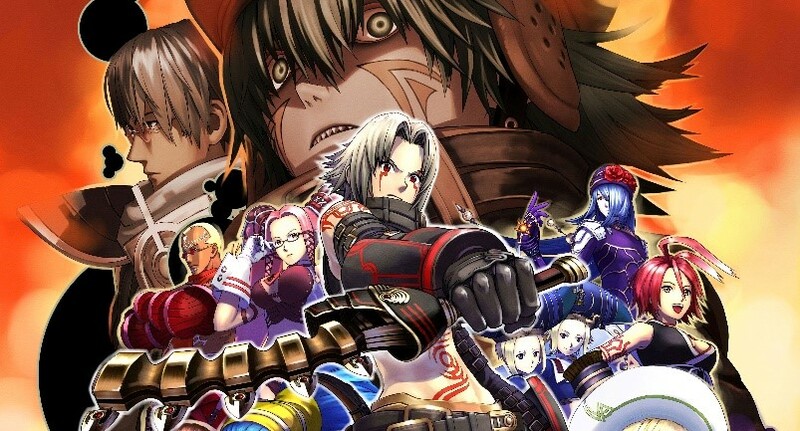 Haseo comes into contact with other players who know of Tri-Edge and wish to stop him. Haseo comes to find that Shino’s comatose is connected with AIDA, a mysterious computer anomaly that infects the characters. The most recently released entry on this list, .Hack is a popular series created by the company CyberConnect2, well known for their work on the Naruto: Ultimate Ninja Storm video games. I was the unfortunate soul that didn’t get to play the original G.U. games on PS2 before they ultimately became rare gems to uncover, but now I finally have had a chance to sit down and experience some of it, ten years after its original release. The world-building of, well, ‘The World’ is sheer brilliance that holds up even today, as there was barely much work done for the atmospheric MMO in this remake. The main hub of your first town alone gives a European feel, the shrines before reaching the Guardian Stones leave a haunting mystery about what lies within. It truly makes you feel as though you’re playing an MMO with all of the right JRPG game tactics, a unique twist on the genre. Not only is ‘The World’ full of exploration, but watching the characters interact draws you in from the beginning. Minor spoilers ensuing from here! Haseo starts off his first day in ‘The World’ as most gamers do—at level one, barely experienced, just here to have fun, and it unravels very quickly when Player Killers emerge to throw him down, but he is saved by the one that I dub the Holy Intervener, Ovan. This strikes a chord in Haseo’s gaming experience, as eight months later, he emerges as a level 133 Player-Killer-Killer… only to take on the wrong mission while seeking out revenge for a fallen comrade and be booted right back down to level one. But this provides him with a chance to not only meet with new allies, follow new objectives, but you also see his personality shift from one built on sheer vengeance into one of sincerity, vulnerability, and true strength. This is a classically modernized game that will hook you from the very beginning. Kingdom Hearts is a crossover of various Disney settings based in a universe made specifically for the series. 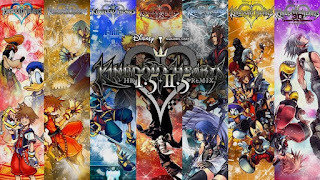 The series primarily centers on the main character Sora and his journey and experiences with various Disney, Final Fantasy, The World Ends with You and Pixar characters, whilst stopping the various incarnations of the primary antagonist Xehanort throughout the series. And that description details only part of what this series has to offer. Kingdom Hearts first debuted in 2002, a strange blend of Disney and Square Enix, best known for their work on the Final Fantasy series. But it is a blend that rivals blueberry and banana smoothies, for they seem strange, and yet, they play off of one another brilliantly. I was eleven years old when I got my hands on the very first game in the series. From the moment that I stumbled upon the first new world, Traverse Town, I was hooked. The main character, Sora, starts off as a bit of a reluctant hero thrust into chaos after his own world falls to darkness and he is blessed with the abilities to wield a mysterious weapon called the Keyblade. He goes in search of his lost friends Riku and Kairi alongside Donald Duck and Goofy, who are in search of their missing King Mickey. Along the way, the three discover the origins of the Keyblade, make new friends, reunite with old, and restore the worlds, all while battling the forces of darkness and making tracks. But the story continues to run far deeper, and there’s no telling what will lie beyond the realm of Kingdom Hearts. This game is truly a gem, and it has all the makings of expecting the unexpected in a game. If you never had the chance to play the games, definitely pick up 1.5/2.5, which has six of the released titles, two of which are in feature film format! And if you enjoyed those titles, then you can move on to Kingdom Hearts 2.8, which has two more titles and one more film. 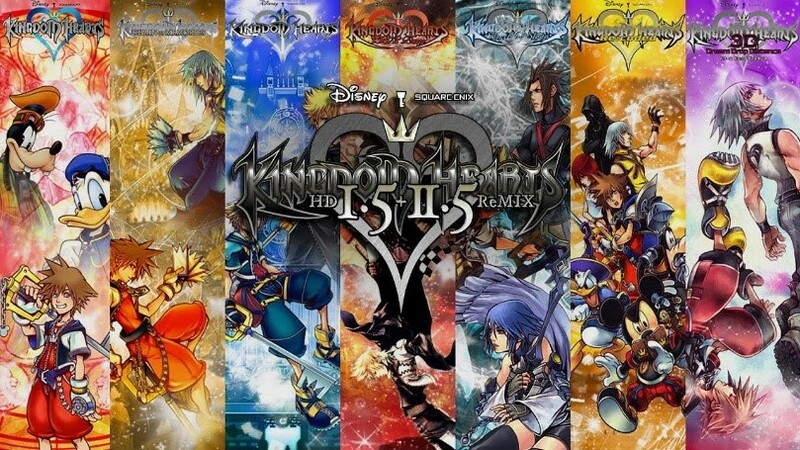 It’s great preparation to play the games in their specified order before Kingdom Hearts 3 (FINALLY) releases next year! Persona 5 takes place in Tokyo, and follows the player-named protagonist after his transfer to the fictional Shujin Academy after being put on probation for an assault of which he was falsely accused. 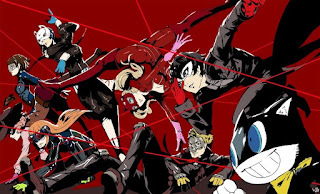 During the course of a school year, he and other students awaken to their Persona powers, become masked vigilantes dubbed the "Phantom Thieves of Hearts", and explore the supernatural Metaverse realm to steal ill intent from the hearts of adults. If not for Nintendo clearly taking the innovative route for the year, I would have dubbed this my own personal game of the year, but it still stands out strong for its beautiful graphics, awesome characters, and brilliant atmosphere. It stands out well among its other counterparts in the Persona series. And not to mention all the jazz-like music, my gosh, this soundtrack is just blazing down my heart. Take me, Phantom Thieves! On the rocker again, I found myself drawn into this game after having played Persona 3 and 4, but both of those were a year before 5 came out. So, I got to cheat myself out of the ten-year wait that all the other Persona fans had to endure. Doesn’t mean that I enjoyed the game any less. The battles are always turn-based, but outside of battle leaves you with a lot of options too: stealth, sneaking, using your wits at times to move through the puzzles left behind for you, and there’s always going to be some work uncovering a new surprise. And then there’s your social links—while not as innovative as previous games, you’ll definitely want to utilize them, as they’ll help you find better ways to work through your dungeons. The story revolving around your Protagonist this time takes a real twist on the transfer student aspect, as this time you’re working on parole and can’t afford to get into trouble, or it’s off to jail with you. What’s his response on his second day in a new city? Let’s become a Phantom Thief and be at risk all the time! We’ve got friends, yes, we do, let’s rope them in. Oh, what’s up with the talking cat-car-mascot? Well, at least he’s memorable. Well, it’s a lot better than that, but hey, we’ve got an awesome game in store for us. The graphics of the game truly outdo themselves, and it’s definitely cleaner than previous games. The stylistic choices make it seem darker as well, and your choices throughout the game impact a lot of telling moments. There’s so much that I could say about this story, about the concept of this game, but instead of that, I say that you should go off and start stealing people’s hearts for yourself. And have fun choosing the best girl out of a slew of them. Answer: It’s totally Futaba that’s best girl. But, it’s okay, because about 80% of them are well worth giving your own heart to. Tales of Berseria is the story of a woman driven by revenge. Nineteen-year-old Velvet Crowe witnesses the murder of her younger brother Laphicet on a Scarlet Night, where demons are ushered in to plague the world. The assailant is her brother-in-law, Artorious Colbrande, a man that is later dubbed hero by the public: the first Shepard. Scorned and broken, Velvet’s right hand becomes cursed, forcing her to eat daemons in order to survive and stave off the bloodlust coursing through her veins. After gaining the ability to roam the world again with the aid of her new allies, she seeks to rid of the man that unraveled her life forever. This is probably going to be the most underrated entry on this list due to previous Tales games history (I’m looking at you, Tales of Zestiria), and how they’ve been coming up a bit shorter lately. But this one was truly a game-changer. See what I did there? 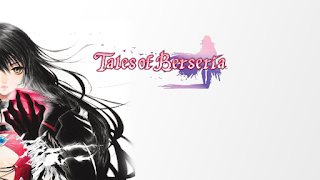 Tales of Berseria offered us the first female Tales protagonist. At least, one that didn’t need to share the role with another, like Jude Mathis and Milla Maxwell from Tales of Xillia. This was a bold move on Namco’s part, as they could have easily gone a different route, have Velvet be more… civil as a lady. But they didn’t, and it made her out to be an incredibly well-rounded character not just on a female standpoint, but as a whole. You feel invested in her story, and Christina Vee truly pulled every emotion out of Velvet and made you find such passion in her goals. The gameplay in this doesn’t feel as repetitive as it has with Zestiria, another edge that it has over its chronological sequel, due to Velvet’s diversity as a daemon eater, and the variety that the other characters such as Laphicet and Magilou have as mages. Rokurou is the only sword/dagger-wielder of the group, so you’ll probably find a lot of comfort in using his speed and finesse if you prefer that route. 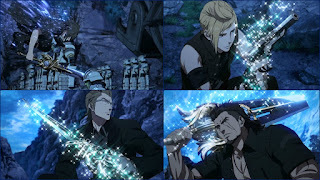 Eizen is a man of his fist, but he also has diversity in two forms of magic rather than an assortment of spells like Magilou or healing tactics like Laphicet, so you’ll have the best of both worlds there! And as for Eleanor, she is a mixed fighter much like Leia from Tales of Xillia, so you’ll find yourself making waves with her magic spells and her extraordinary range with her lance. I’m nearly finished with this game, just one chapter away, but already I’ve found myself so drawn into not only the warming cast, but the story seems to have such life in it that I haven’t felt in a Tales game since Xillia 2. I know that isn’t saying much given that Xillia 2 is recent, but even the structure of the Xillia cast didn’t feel as close as Berseria, and some of the characters in Xillia already knew each other! If ever you find the need to invest in a game that will take you on a whirlwind of emotions, you should pick up Tales of Berseria. You won’t be disappointed. Noctis Lucis Caelum, heir to the Lucian throne, goes on a quest to retake his homeland and its magical Crystal after it is seized by Niflheim on the eve of peace negotiations between the two nations. However, he soon discovers that the Crystal is at the heart of a much greater threat to Eos, and that his role as the future king is key to averting an apocalyptic event from taking place. This one is a bit of a cheat, because Final Fantasy XV came out on November 29th, 2016. It’s close enough to the end of the year to practically throw it into 2017, just barely. In addition, it’s still not a complete game due to all of the episodic DLC for our assortment of characters, which I personally believe should have been implemented into the game, but that is all for a much broader review that I plan to craft once the final episode is released next month. 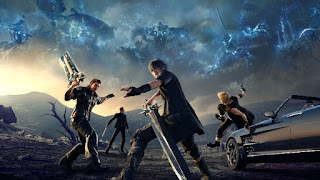 Final Fantasy has been one of my favorite series since I was a teenager, first stepping into the limelight with the release of Crisis Core: Final Fantasy XV, which is to this day, one of my favorite games of all time. When Final Fantasy XV was finally getting a release date, I was glued to my chair watching the livestream, and screamed at the initial date of September 30th, 2016. And then the delay happened. I still was more than happy to wait. And then I played. Oh boy, did I play this game. And I finished it within two weeks of its release. And plan to do it again. There was so much left to be desired, and yet, I wasn’t disappointed at all in this game. If there is so much that I could say about it already, then why am I recommending it to you? 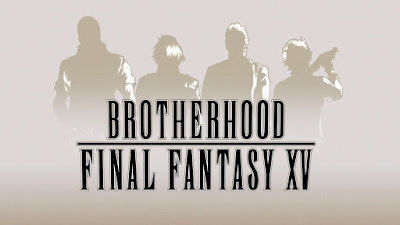 Because even with all its flaws, its disappointments, its hypes, and all in between, it is still a fantastic game for first-timers into the Final Fantasy series. Final Fantasy XV, graphically, is gorgeous. You’ll want to spend much of your time traveling the world of Eos, and trust me, there’s plenty of side-quests and story requirements that will let you go to the ends of the earth to see it through. The detail put into most of the atmosphere, those little details, will definitely leave you feel some of the magic that the earlier Final Fantasy games left behind in wake of a new era. The gameplay, albeit a bit repetitive at times, can leave you with excitement down each road. There’s always something that you may not expect as you go. And it’s a bit more polished and fun than, say, Final Fantasy XIII. Just the first two. Lightning Returns was the better of the trilogy to me. Character development wise, I love the close-knit bond between our four-man group of Noctis, Prompto, Ignis and Gladiolus. They’ve all known each other for many years, which is something that most Final Fantasy games don’t have—they all come together by circumstance, and these guys didn’t have to do that. They already had a present bond from the start, and they stand by one another. They were always brothers in arms and outside of them. It’s easy to fall in line with their work, and they all play off of one another so pleasantly that you can’t wait to see what they’ll get into next. Story… that is where we fall short. It is incomplete. I’m among the first to rise up and say that I hate what they did after chapter nine. Because it unravels, and not for the best. But, don’t get me wrong. I do love this game, a lot. I just wish that it was done better. But if you’re a fan of growth in many different shapes and forms, I definitely recommend a try, especially as a first-time Final Fantasy player. You may enjoy the nightly drive through the countryside. Unless Iggy tells you no, then I suggest retreating in covers and closing the curtains. What about you? What's YOUR game of the year? Treated like an outcast in her own kingdom, Ariah learned to live in the shadows. As she comes into her powers, she catches the eye of her life long crush and an unlikely ally. Trusting either of them could help her along a dangerous journey…or could bring her journey to a dangerous end. 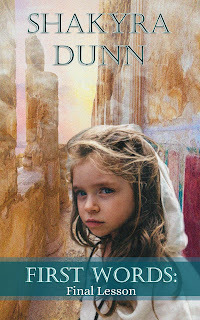 When enemies come to light and distrust spreads, Ariah’s safety is put in jeopardy. If she places her trust in the wrong people, her hidden powers will be unveiled to those who wish to use them against her. To survive, Ariah must learn who has her best interests at heart. If she chooses wrong, it could mean not only her own death, but the crumbling of the entire country. 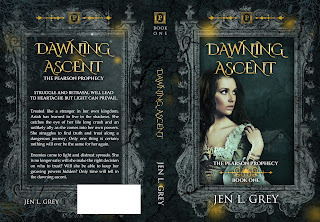 Game of Thrones meets Practical Magic in DAWNING ASCENT, a coming of age fantasy read for adults and young adults alike! Reading has always been one of my favorite hobbies, even as a little girl. When I was a toddler, my parents would read stories to me over and over. I would hear them so often that I had the books memorized and could recite the story word by word. The past year, I started having stories stuck in my head and finally decided to start writing. 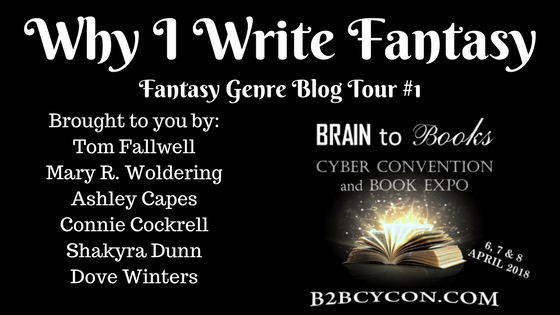 My favorite genres are fantasy, paranormal, and contemporary romance. So of course that's what I'm inclined to write. I have a husband, two young daughters, and a mini Australian Shepherd. I've lived in Tennessee the majority of my life and love the state. I'm extremely addicted to caffeine and enjoy drinking coffee and lattes. I'm currently about 40% through this book as I type this, and so far, what appeals to me the most is the magical aspect and the social classes rather than the budding romance between our heroine Ariah and Prince Nicholas. I'm always interested in the art of defying the "chosen one" trope, and Ariah seems to unravel it, as she isn't the one to fit the bill when compared to her younger sister Emmeryn. I also was a bit drawn into Logan, the oldest child of the family, in part because of my own younger brother (with the same name), and the hope that he grows into someone willing to define his nature and be protective of his family. The social classes of the royal family and the "chosen one's" family often show a difference of skill, mainly due to the princess's virtues towards those she deems unworthy. It is like pouring salt on an open wound. And there is much still left to go, which leaves me waiting with bated breath! So far, I give the story a 4/5 due to its rather slow start and its need to progress in many aspects aside from Ariah's normal life and those around her. A recently-crowned princess with a thirst for magic accidentally destroys her home. A simple youthful rebellion grows into a lifelong friendship. A young woman meets reliable allies. And a young boy is dealt a harsh hand when he sets out to make his own path. Four tales. Four parties. All intertwined to set the stage for a bigger event. The sense of adventure builds as lessons prepare to be learned. Wind chimes echoed through the near-desolate shrine, the salty air flowing through the open window, blowing out the jasmine incense on the polished nightstand. Thunderclaps roared from the outside, and she couldn’t help but grin to herself as she shut her eyes. Abrupt weather changes, a drift in the squalls. The calm before a brewing storm; that was always Leilana Erovina’s ideal time to meditate as a prolific start to her drawn-out morning. Minsura’s grounds granted her peace, and sitting as the first heir of the kingdom ensured her guarantee to a wholesome life. Isolated, magicless, a free reign to the plight of idealism and growth. The hymns of her people reverberated in passion and solitude. It was as though this closed-off world was shielded behind the clouds, never to touch the cruel workings on the ground below their pedestal. She heard little about the world furthest east of their country, a place called Adrylis, but she knew that their society was fueled by magic and the power of the Warlords. For generations beyond known time, essence and being was headed by the Warlords of old, who crafted all humankind and blessed them with the ability to conjure spells to breathe life into their own little world. Magic itself was a mysterious gift that few in Minsura were given; one of the chosen ones had been her own brother, Ennis. The oldest of the two, he should have been the one seated at the foot of the shrine, leading Minsura as the first heir to his growing land, but his recent growth in power knocked him down several pegs. Magic was forbidden. She was grateful for the shift due to the quiet change of pace and the chance to better her country with her own hands as its chosen princess, but she didn’t understand why it had to be in this manner. Ennis didn’t ask to suddenly develop a life-threatening illness, saved only by what essence resonated within him from birth. He never asked to be turned away by those he loved for something that he couldn’t control. A light rain pattered against the floor, and she decided to end her session for the day, getting up from her mat and closing the window shut. She rested her head on the windowsill, astonished blue eyes gazing up at the smoky clouds hastily filed in. As much as she loved Minsura and what the shrines had to offer, she couldn’t help but wonder what lied beyond the only land she had ever set foot on. She couldn’t wait for the rain to settle down for long—she was already late getting back home, and her parents would already have a mound of duties waiting for her. Pressing her tiny hands against the large doors holding her, she pushed them open and watched the rain pour down on the stone building above her. She took a seat on the stairs for a moment, tapping her foot along the ground, her right leg bouncing in an anxious matter. How long was it going to be before the rain slowed up? I'm going to tell you a little story. August 5th, 2012 holds a lot of significance in my life; it was the day that my mother suddenly passed away. I was eighteen years old, a week and a half away from starting college, and it was the moment that my life changed forever. My mother was the one that raised me, mostly on her own as a single mother, but she had help from others to push me down the right path. Not to say I was a bad kid, nothing of the sort, actually. She primed my love of literature from a young age, and was an avid reader herself. I don't think that I would have become a writer without her guidance. But this year, August 5th was a day not of sadness, but of opportunity. 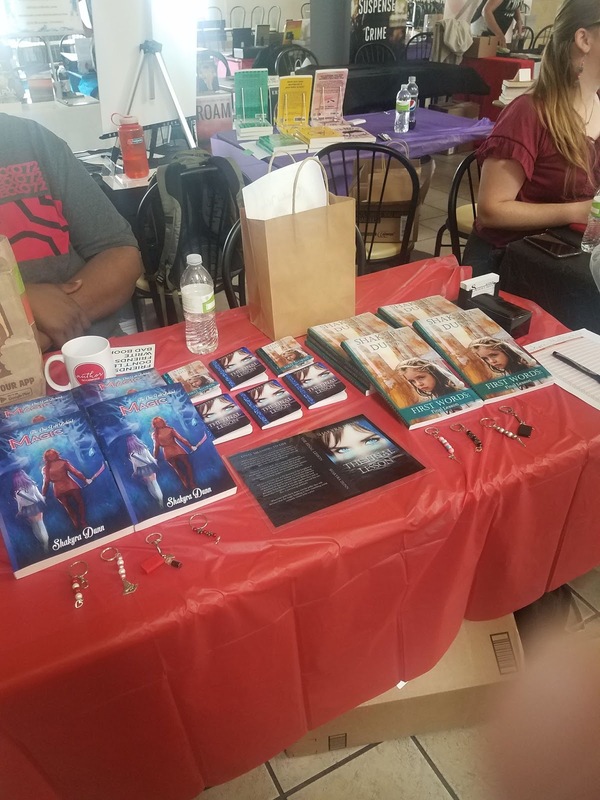 I got the chance to participate in a local author event called "Imagine Other Worlds: IOWA." I don't get to attend many events due to my rather annoying night shift schedule, so this one was a dark horse for me. I wasn't sure how I would fare, as I'm probably one of the new kids still in the industry despite having been published for a year now, and still rather young and inexperienced. But from the start, I was always prepared to learn more, experiment, and see what I could change about my style. And I wasn't at all disappointed. 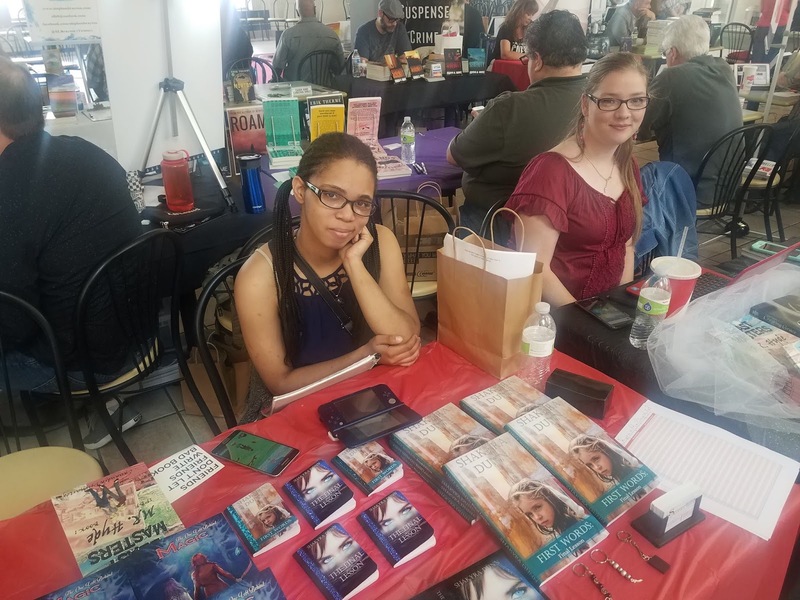 The hardest thing about attending any sort of convention, large or local, is trying to make yourself stand out, especially if there are multiple other authors in your genre. And I'm still struggling a lot to pitch my work to others, because telling a story aloud can be a hassle, even if you're experienced. But you learn on the go. 1. Don't be afraid to start up a conversation, even if it's something completely unrelated to your books. This is something that I took from my fellow YA author Jed Quinn. 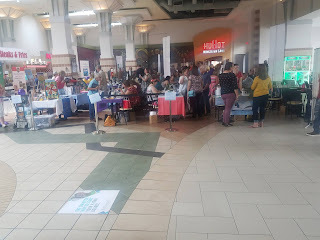 He stated to me after I asked for some advice on how to attract people to you that you should talk to anyone that passes by your booth, strike up a conversation, even if it's just complimenting them. He joked around saying that someone was wearing a Packers jersey, and he hated that team, but if it leaves a mark, then you're sold in at least one way. Even if they don't buy your book, you leave an imprint on them. 2. You can make allies at your events. I made a great new friend in Cassandra Denhartog, sitting right next to me in the YA area! She's really sweet, and she's got skills beyond the border! I think that chance encounter won me more than just some nice conversation, which is always a good thing. 3. Showcase yourself. Being yourself is one of the best things you can be at an event. If you appeal to the right person, you can win yourself some new readers. Personally, I can be rather reserved. But I'm also pretty open and blunt, and Jed actually called me tenacious at a point because I managed to convince him to buy my book. At first, hearing that made me a little nervous, but he reassured me that it's a good thing TO be tenacious in the writing industry, because it shows that you're passionate and willing to push past your barriers. In the end, I sold four copies of my novella, which got me a little hype towards my future project, "The Final Lesson," but the sales weren't what I thought would help to define me. My purpose was to build myself a little more, to learn more about what I could do to not only improve my sales, but uncover the depths of what potentials are running within me. I want to be able to travel to other states, promote myself at conventions away from my norm, but to do that, I must first be prepared by starting local. Imagine Other Worlds was my first real jump into what I think could be the start of something greater, and for this moment, I'm thankful to the coordinators Terri and Dana for giving me the chance to let the *semi* new kid join the fun! Allow me to introduce my latest release! The e-book is only $.99, and it's a great introduction into the upcoming novel! You can purchase it here! I decided to play a little game with myself, and I wanted to jot it down in a new blog post since it's been a while! I always like sharing a bit of information about myself. 1.) What is your author name? ~My author name is actually my own birth-given name, Shakyra Dunn! ~That would be "The One Left Behind: Magic." It is the first in a three-part series. 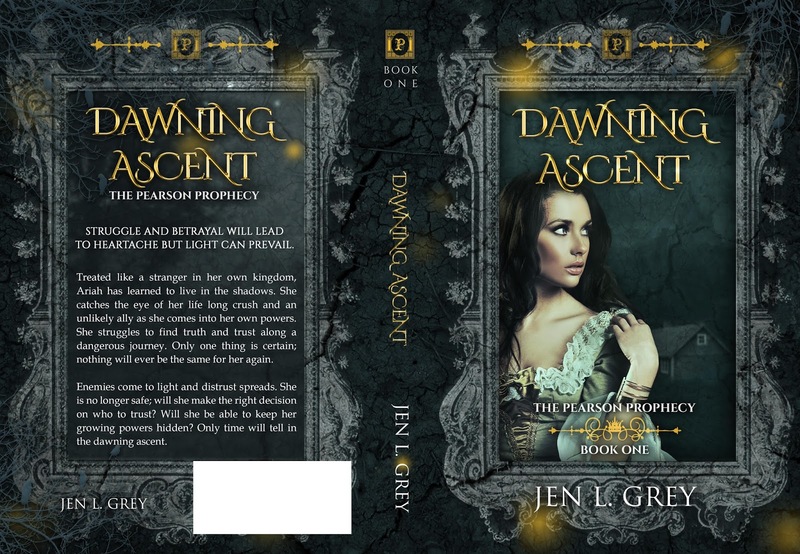 It's a YA fantasy novel that has sci-fi elements due to the theme of time travel, rebirth and growth. ~June 13th, 2016! It was two days before my 22nd birthday. 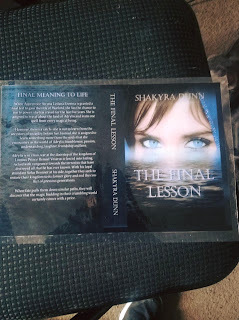 ~So far, it has to be "The Final Lesson," the project that I'm currently working on. ~"The One Left Behind: Magic," because I've had to essentially rewrite the entire novel from scratch over the course of three and a half years. ~I kind of just answered that. ~Oh, I listen to a variety, but my range goes from rock to J-pop to instrumentals from video games and anime! As I type this, I'm listening to the Final Fantasy XV soundtrack. ~It's a tough call, but I have to divide it between three from my current works. It would be Nova Avery from "The One Left Behind," Solus Brenner from "The Final Lesson," and Leilana Erovina from "The Final Lesson." All three of them have similar mindsets, but they execute all of their methods in such different ways and have inter-conflicting personalities. If I had to choose one above the rest though, it would be Solus. ~"The Final Lesson!" I've been writing it for nearly a year now (It will be a year in November, but I feel that I'll be finished by then), and I've already released a novella prequel in preparation for it. ~I tend to go more for drinks than snacks, but if I have a snack, I've recently gotten hooked back on ranch-flavored chips. ~Just one? Ooh, let's see... I'm going to cheat. Instead of a quote, I'll use a minor scene. It's one that I liked organizing. Solus slapped the young Prince upside the head, his left hand still resting on his hip. “That is quite enough out of you, Remiel. No need to antagonize the patrons. He was just doing his job.” Rem nearly snarled back at the man. ~Self-published, but I'm going to try and switch up to Hybrid after "The Final Lesson" is done. Or maybe before. I haven't decided yet. 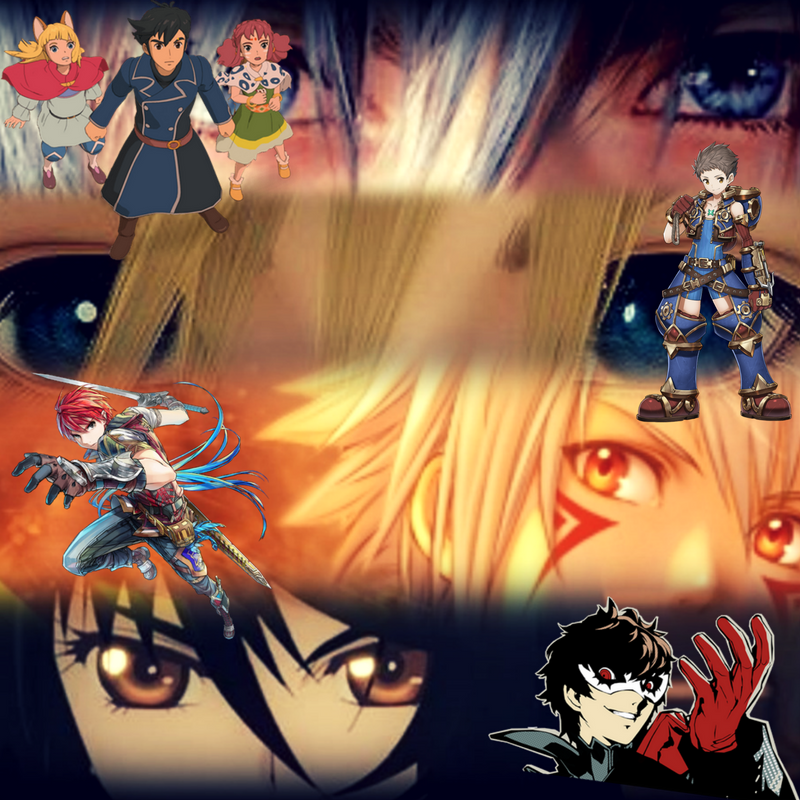 ~I take inspiration mostly from my experiences, but I also take inspiration from video games. I love playing RPG's, and they help me shape my love of character conflict. ~Fantasy! But I also write in the YA genre and plan to try out paranormal with my next non-series book! ~Neither of the above. I just try to write whenever I can and hope for the best. ~Never lose hope. It's easy to stray, especially when you're crafting your first book, or even when you start your second or third. Writer's block exists, and when it hits, it's okay to step back and take a break. Take criticism. Listen to what others have already done. ~My goal has always been to inspire others to create. I had a hard time accepting my love of writing as a teenager, but once the bug hit, it stuck. Never be afraid to live your dream. ~I could write a book on who inspires me, but I'll say for one, Lemony Snicket is a strong part of the reason why I became a writer. 20.) What will be your next release? ~"The Final Lesson," which I'm aiming to have published around October! Speaking on my novel work, I mentioned my latest release! Well, here it is for your viewing pleasure! The e-book is only $.99, and it's a great introduction into the upcoming novel! You can purchase it here!